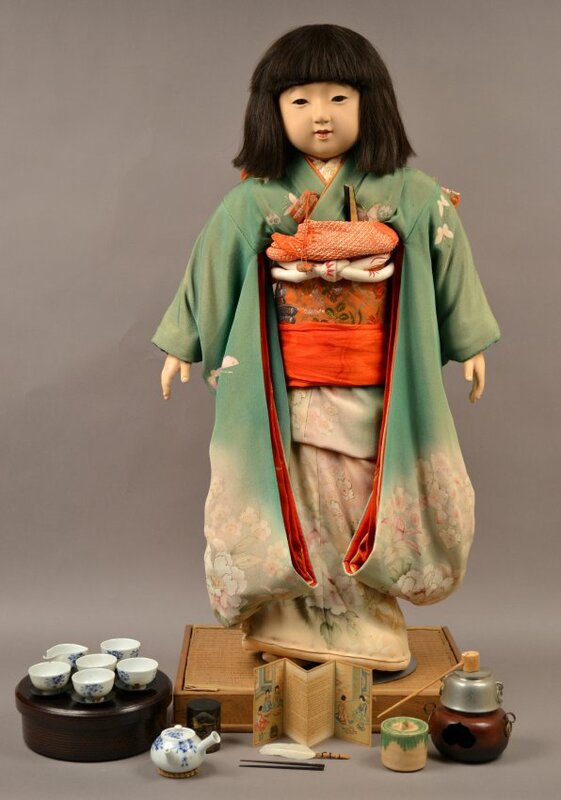 This tea set (AB 782.14) is one of the Miss Kyoto doll accessories. The set includes five white porcelain tea cups with a blue floral design, five black metal saucers, and a matching blue and white porcelain dish for cooling water (that looks like a saucer). The water dish has no handles; it was broken and then repaired, though it is still missing one small piece. 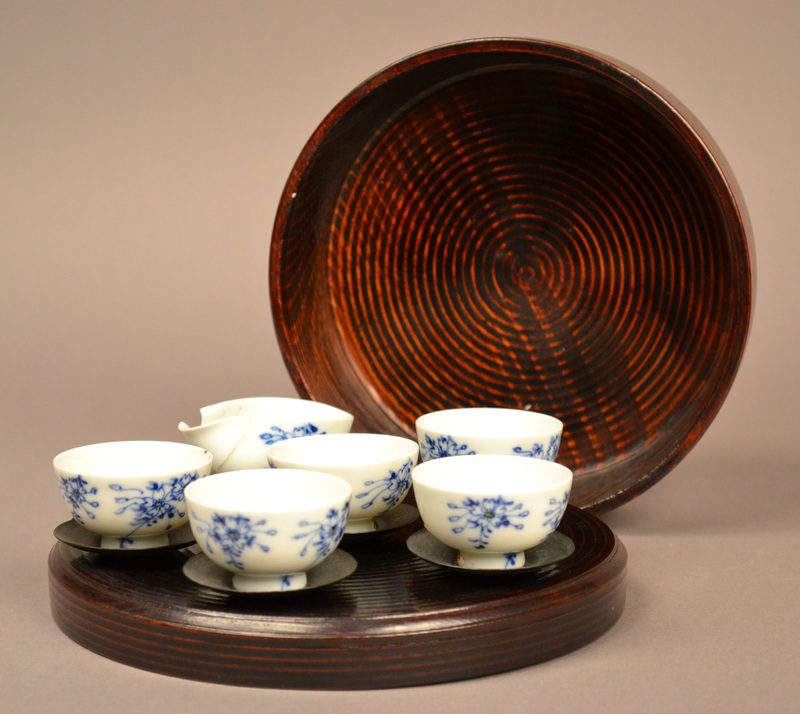 The set is pictured with its bamboo container (AB 782.15), a round bamboo box that is stained a dark brown color.